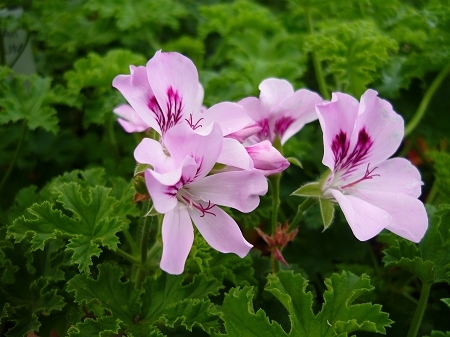 Cedar Scented Geranium (p. copthorne) - Large lobed green leaves with a pleasing woodsy scent, grown primarily for it's beautiful large blooms. Very floriferous. Upright robust growth habit. Perennial zones 10 - 11+ Live starter plant in 3 inch container. The smell is most certain of cedar but the smell to me was weak but still enjoyable.